This stove board provides a beautiful addition to any fireplace. Whether you use a gas, traditional, or electric heating appliance, this stove board can help protect the interior of your home from being damaged by the effects of your fireplace. With this in place, you no longer need to worry about soot, sparks, embers, or heat produced by your fireplace. This is an attractive way to accent your fireplace while also extending the protection of your hearth and preventing your carpeting or walls from being ruined. How much does this stove board weigh? The shipping weight of this item is 14 pounds. Can this be used to support the stove so as not to crack the tile underneath? It can indeed. 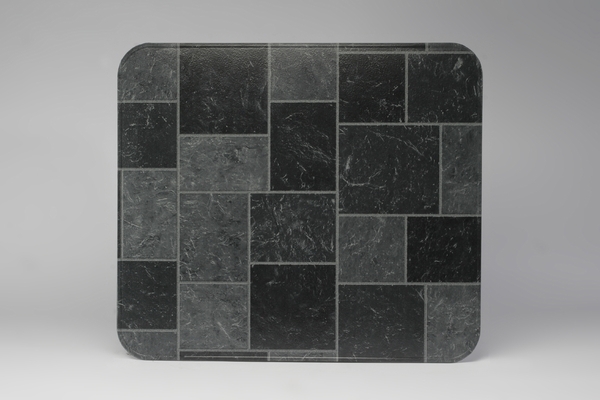 The mineral board used in the construction of this product will help to more evenly distribute the weight applied by the stove legs, helping to prevent damage to thin tile or materials such as slate.